Good morning everyone! 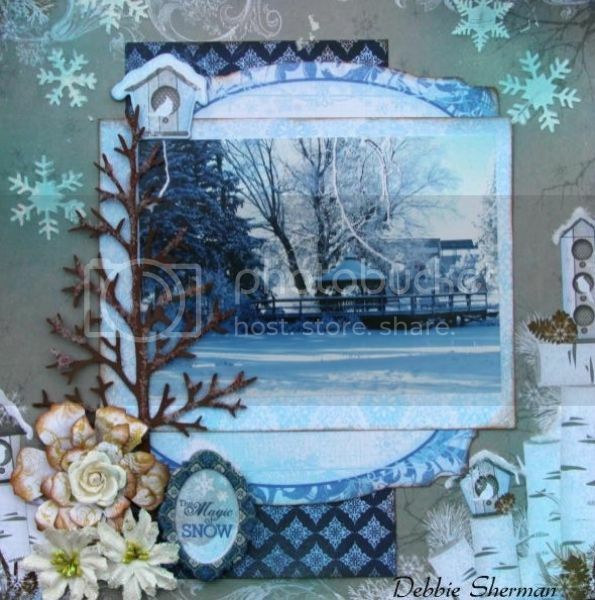 Debbie with you today to share a layout using the Leaky Shed Studio 9" Christmas Tree Chipboard piece. This piece is a gorgeous focal point for any Christmas/Winter layout! I wanted this piece to coordinate with my photo so I added a little diamond dust to it after giving it a quick spray with some mist. Thanks for stopping by the Leaky Shed Studio Blog today!!! This is gorgeous! LOVING that tree!!! oooh I love what you did with the tree!! Gorgeous flowers too.